If you happen to take your holidays in a remote area away from city lights, summer is the ideal time to observe the Milky Way—that fog of stars that stretches across the night sky (and is in fact our own disk-shaped galaxy seen edge-on). This is where COROT, CNES’s exoplanet-hunting satellite, is looking at the moment. In the hours after dusk, a huge triangle marked out by three particularly bright stars is clearly visible, with its sharpest tip pointing to the southeast. 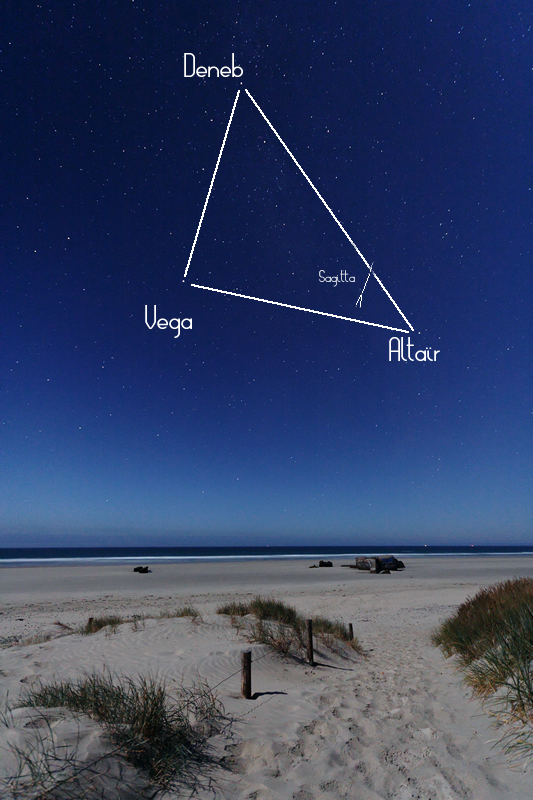 This is the Summer Triangle, comprising Deneb, Vega and Altair in the corresponding constellations of Cygnus (the Swan), Lyra (the Lyre) and Aquila (the Eagle). Since 9 May 2007, COROT has been observing the area around Altair, the star at the southeast tip of the Triangle, deep inside the Milky Way. In a small rectangle of space, virtually empty to the naked eye, COROT’s ultra-sensitive telescope has picked out more than 12,000 stars. Here, the CNES satellite is watching and waiting for the slightest drop in luminosity of any one of these stars—which could indicate that a far-distant cousin of Earth is passing in front of its sun. 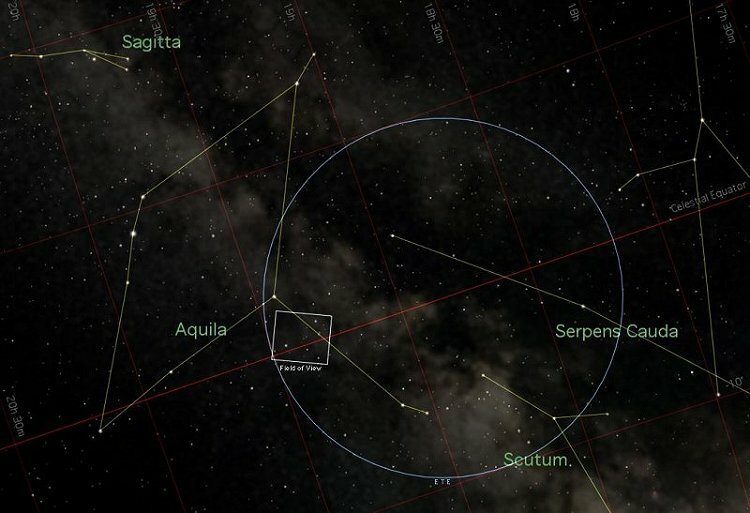 COROT will keep its sights in the direction of Aquila until 15 October, when it will turn through 180 degrees to face away from the Milky Way to avoid interference from the Sun. It will then point towards a new stellar field in the region it observed in February and March, when it discovered its first exoplanet. 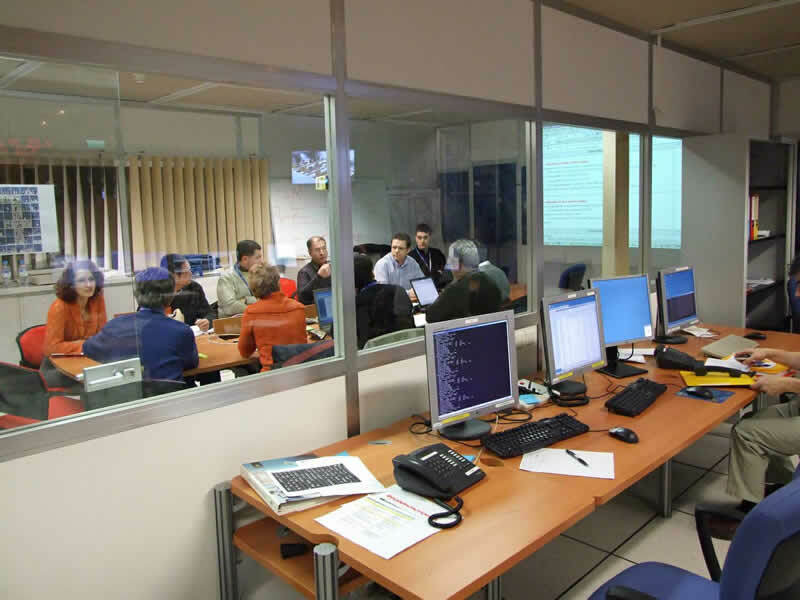 Indeed, researchers are impatient to receive what CNES engineers call “Level 1 products”. These comprise COROT data that have been meticulously processed and enhanced so that they can interpret them without any risk of ambiguity. For the observations made in February and March, delivery of complete data sets is scheduled for October. This autumn is expected to be hot—at least in terms of exoplanet discoveries.